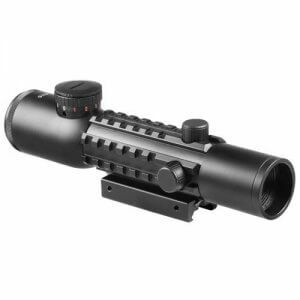 4x20 Electro Sight Carry Handle Scope is specifically designed for M-16 & AR-15 Rifles with a carry handle. 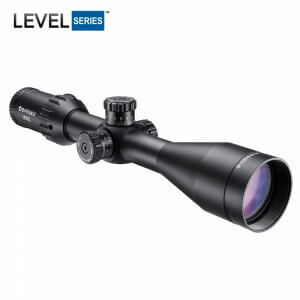 Features a built-in bullet drop compensation system calibrated to 500 yards in 100 yards increments. 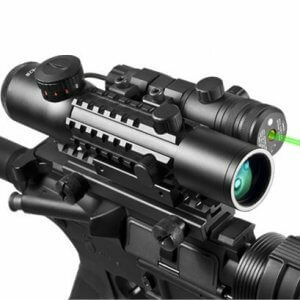 Integrated base that easily mounts on to the inside track of a rifles carry handle, at base of the integrated mount is a peep sight that allows you to use the rifles iron sight. 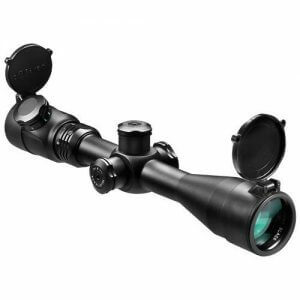 30/30 reticle, improved design and fully coated crisp clear optics. 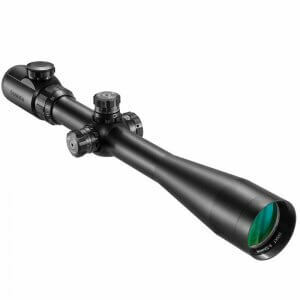 This product is the 4x20 scopes only, carry handle sold separately. 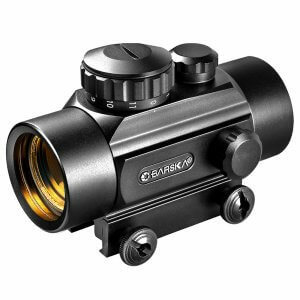 4x20 Electro Sight Carry handle Scope is specifically designed for M-16 & AR-15 Rifles. 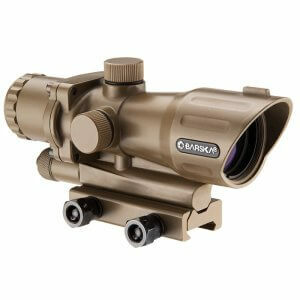 Features a built-in bullet drop compensation system that is calibrated to 500 yards in 100 yards increments. 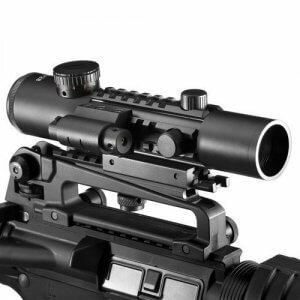 It has an integrated base that easily mounts on to the inside track of a rifles carry handle. 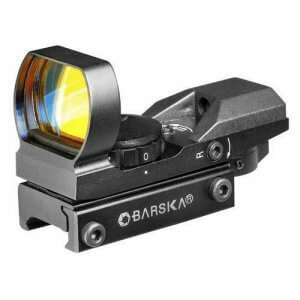 The base of the integrated mount is a peep sight that allows you to use the rifles iron sight. 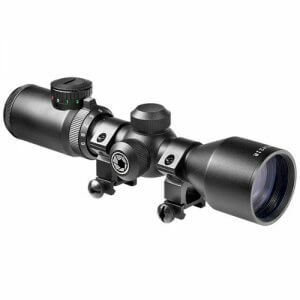 This upgraded model now features a standard black 30/30 reticle, a improved design and fully coated crisp clear optics. Stays zeroed even after constantly putting it on and taking it off. Very accurate. The see through lens are very convenient. 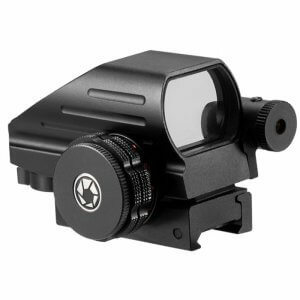 Build is rugged and solid and the mount quality is unbeatable for the price. I’ve shot over 400 rounds and it still held zero.